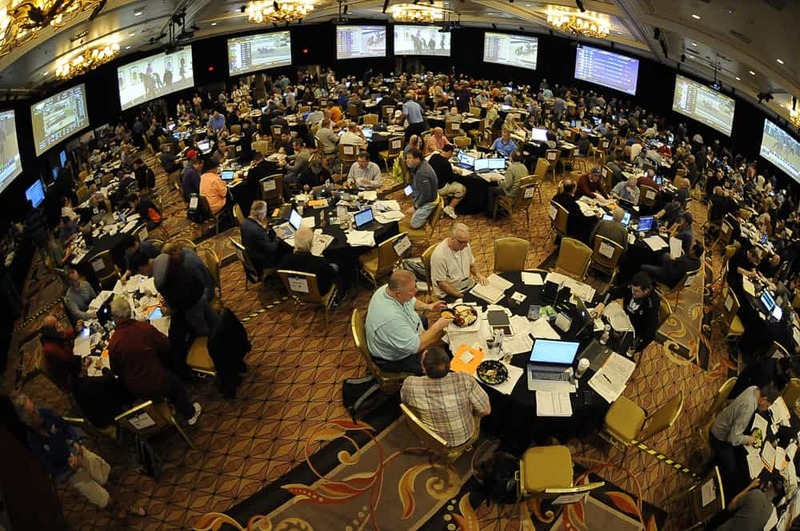 If you've never attended a big handicapping tournament in Vegas, it's about time imho! Not only is it big, its FREE! I'm no detective, but I'm guessing that he is a regular attendee at these gatherings. Looks like fun. All I can think is, "What does that room smell like?" I'm thinking nervous sweat, cigar smoke and day-old undies. Sorry...I'm sure all the handicappers on THIS forum are impeccably groomed. and those cushioned chairs hold a lot of odor. BaroqueAgain1 wrote: All I can think is, "What does that room smell like?" Ballerina wrote: and those cushioned chairs hold a lot of odor. Currently in third place, Barb finds your comments a tad offensive! Nice to see a 25-year old waiter near the top of the standings! Imagine a $800,000 payday for him, that's a life changing score! JMHO, doesn't look smelly to me! 70 players made the cut to play today from the original 700. In the top 12, three of 'em are women, congrats! 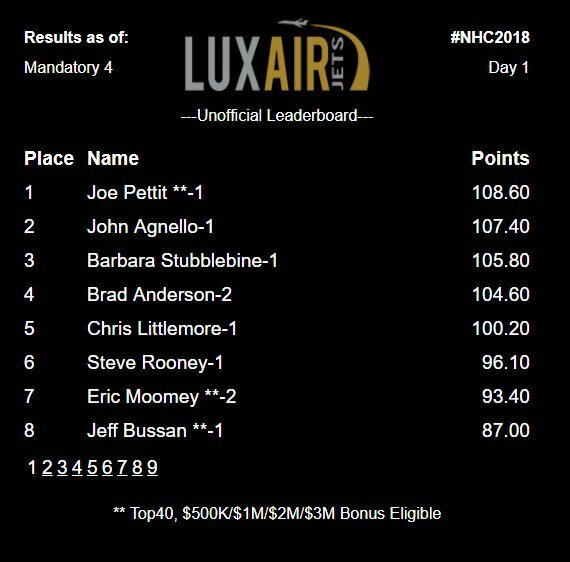 In a separate event.....Ed DeRosa, representing TwinSpires.com, won the Tito's $10,000 Charity Challenge with a final score of $63.40 from $2 Win and Place bets in the same eight mandatory races used for the NHC. Matt Carothers of TVG made a late move to get second with $54.60 and Eclipse Award-winning writer Sean Clancy of ST Publishing checked in third with $47.40. 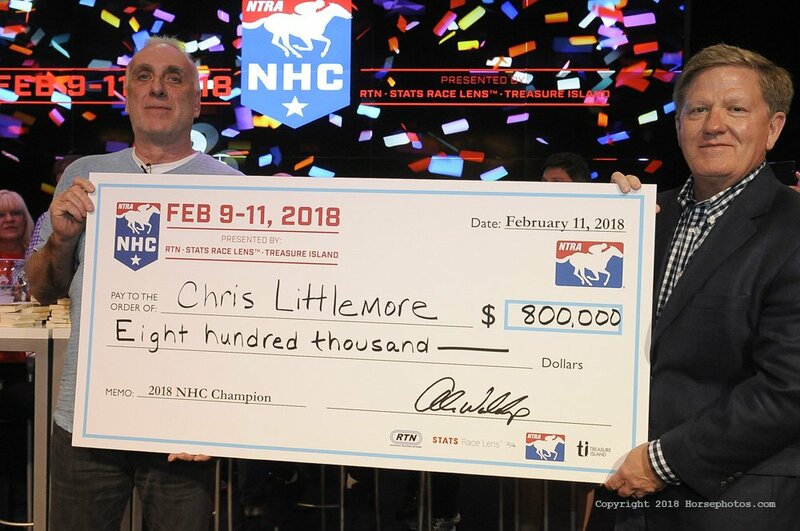 The $10,000 prize pool will be shared between three different causes – the Thoroughbred Aftercare Alliance, official charity of the NHC ($5,000); the Ronald McDonald House of Cincinnati, the nonprofit designated by DeRosa ($2,500); and another nonprofit still to be determined by title sponsor Tito's Handcrafted Vodka ($2,500).